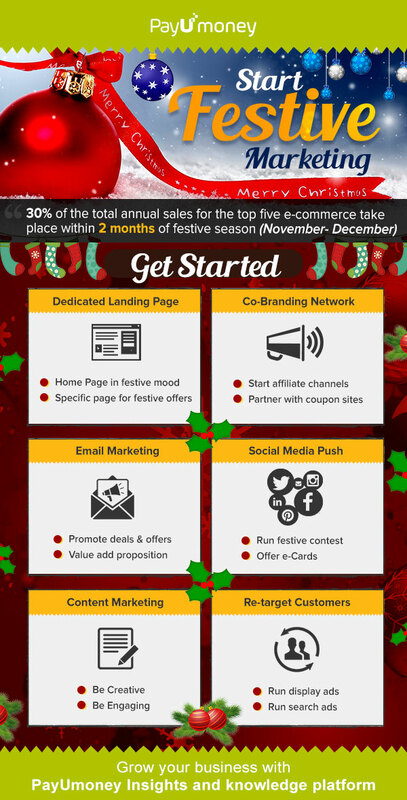 Christmas and New Year are one of the biggest sales month for the Indian eCommerce ecosystem. The reason behind this sudden push is that India consumers buy more during this season. Around 40-50 percent of the total annual retails makes up during this festive season. Hence the market places are competing among themselves to provide the largest selection from wide range of product and services. The key to drive sales is therefore proactive. You need to adopt effective marketing strategies in order to stay ahead in the competition. Tons of start-ups across verticals are adopting new brand strategies to tap into those million dollars floating in the online retail segment. First step is definitely decorating your website/store in the festive mood. Creating a festive mode will connect your customers with your online store. You can have a dedicated banner in the home page of your website communicating your best site wide offer. Or you can design a specific and detailed landing page for exclusive Christmas deals and New Year offers. Use targeted keywords such as “Best Christmas Deals and New Year Offers” to boost rankings. You can identify such keywords along with their average monthly search volume by simply using Free Google Keyword planner tool. The risk for your online business to use affiliate marketing is extremely low and the conversion is high. You need to make payments only when a customer converts (Sale happens). You can tie with various Coupon sites and start co-branding marketing channel. They can boost conversions and help your business to drive sales. Email marketing is the best way to connect with your customers, increase reach and drive sales. Effective email marketing means more qualified lead for your online business. Communicate the best Christmas offers and deals to your customers in all your mailer communication. Try to incorporate value proposition into the minds of your customers. Inform your target audience about the offers and exclusive deals which you are offering in the festive season. With large customer base, easy-to-navigate interface and reasonable cost, Social Media Marketing can help you directly increase customer engagement. 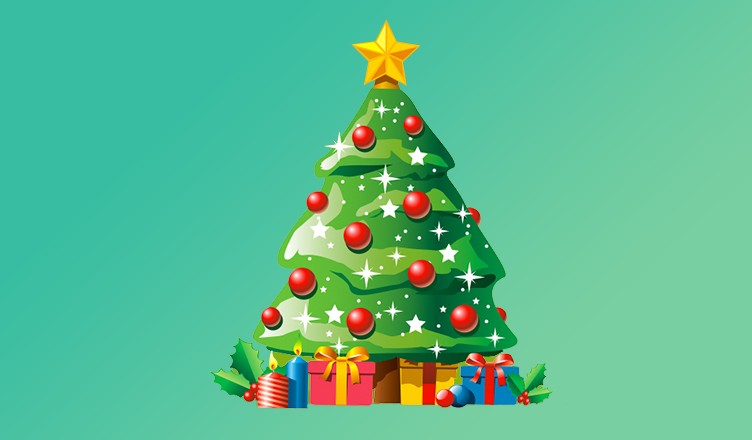 Run festive contest across social media platforms such as Facebook, Twitter and LinkedIn to give your festive marketing a social media connect. If you have a loyal customer base, then they will surely engage themselves by sending their own pictures using your products or services. Don’t forget to create dedicated hashtags for your festival offerings. For Festive season, Content marketing is more valuable than ever since. Deliver content in the best possible way to connect with your audience. Your website content should be optimized such that it caters to the offers and deals you are offering. You can increase engagement by creating a dedicated Christmas Blog series. It will connect your customers with your online business. Re-targeting customers who have earlier shown interest in your product/service is the most important step to drive sales. Focus on people who have abandoned your shopping cart. Try to give them value preposition in the form of exclusive deals and offers through Search and Display ads. As the festive season decks up for the biggest online sales, you can now use above mentioned tips to capitalize sales for your online business. PayUmoney wishes you a very Happy New Year. Stay tuned with us to take your business into next orbit.